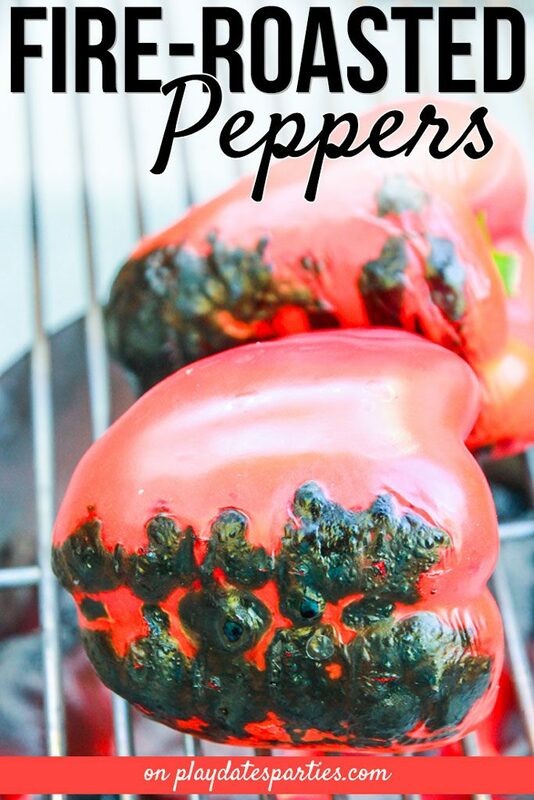 Fire Roasted Peppers Recipe for the Best flavor! 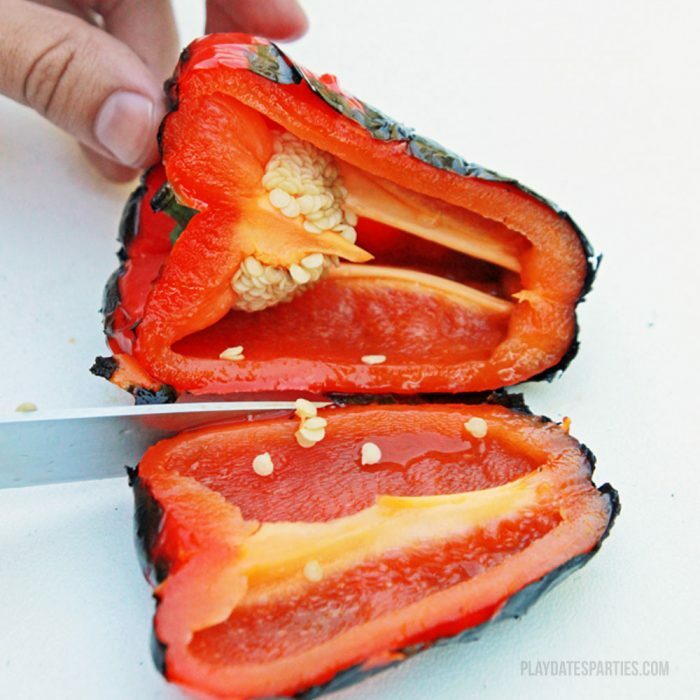 Learn how to make this easy fire roasted peppers recipe right in your backyard! They’re so much more flavorful than using the oven. It took months after giving birth before I could even stand the smell of roasted bell peppers. And it took years before I was even willing to taste them again. Pregnancy aversions are strong, my friends. The worst part about it is that right up until I was pregnant with my first baby, I LOVED roasting peppers, especially on fresh salads. No kidding, we would have a giant salad with roasted mixed vegetables at least once a week. But those darn pregnancy aversions changed that for years. Until a year or two ago, when the Husband decided to fire roast some Hatch chiles using our grilling supplies. Friends, this was one of the best experiments we’ve ever tried. Not only was I able to stomach the chili peppers, I loved them! So…we started using his roasted peppers recipe for peppers of all kinds! Plus, with his bar and prep table right next to the grill, our fire roasted peppers don’t need to hit the kitchen until they’re ready to be put away. 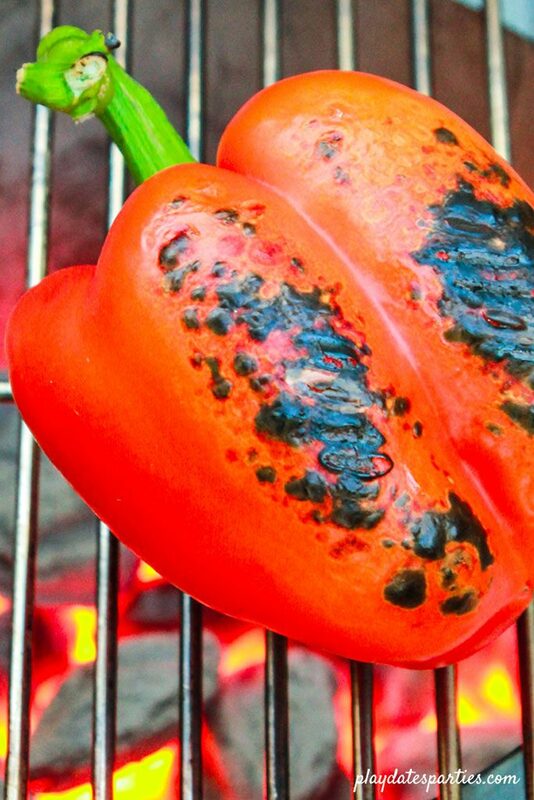 Leave the oven off and learn how to make fire-roasted peppers at home. You'll love the bold flavor added by using an open flame! Light a chimney starter and fill it with charcoal briquettes until it is 4/5ths full. When the coals are hot, place a grill grate directly on top of the chimney starter. Place one or two peppers directly over the heat of the coals. Leave in place until the skin is well scorched, about 3 or 4 minutes depending on the heat of the fire and the type of pepper you are using. Rotate your peppers and repeat step 3 until the peppers are roasted on all sides. Remove peppers from heat and place in a glass bowl, covered with plastic wrap. Allow to sit for 5 to 10 minutes. When the peppers are cool enough to touch, remove them from the bowl and carefully scrape away the skin with the back side of a kitchen knife. Why not just put the peppers on the grill? While you can roast peppers on the grill, using the coals directly from the chimney starter concentrates the heat, making the peppers roast more quickly. The amount of time necessary is directly dependent on the heat of your coals and the thickness of your peppers. We spent about 5 minutes roasting each pepper when the coals were at their hottest. Scraping the skin off took another 5 minutes per pepper, so you should plan for at least 30-40 minutes from the time you put the first pepper over the coals. We’ve roasted peppers this way a few times now, and I just love it. 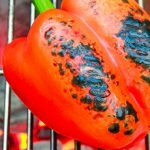 Fire roasted peppers are so much more flavorful, and I’ll try any recipe if it keeps the oven off during the summertime! We used these fire-roasted peppers to make a batch of roasted red pepper dip, and it was just incredible. 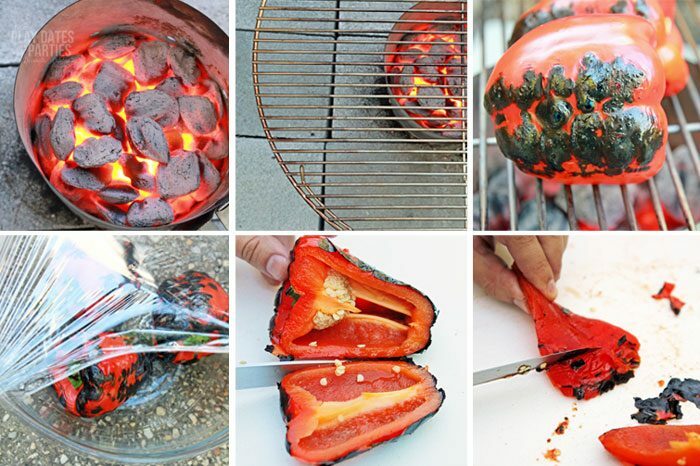 Grab some coals and start roasting your own peppers. 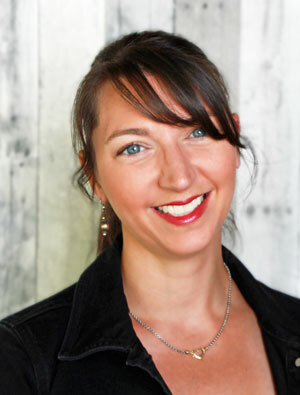 You’ll be thrilled you tried it – even if you’re dealing with pregnancy aversions! Oh, those peppers look great! They are so good. I hope you get the chance to try them out! These look like a delicious side dish to make. It also would be amazing to add to recipes too. They really are awesome, and fun too! Thanks for stopping by! 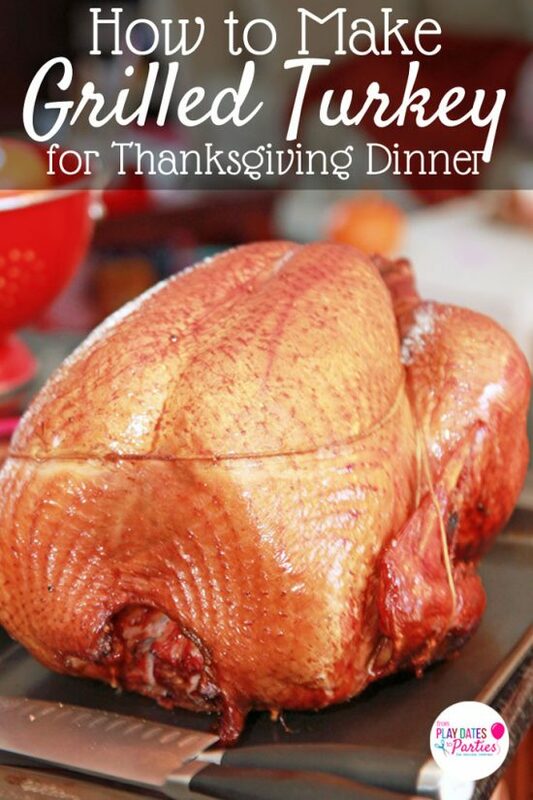 It’s the best….because it isn’t even in the kitchen! ? I’ll definitely check out your party! I love fire roasted peppers! Must try this idea. This looks nummy! I love roasted peppers! I’ll have to try this. It is so tasty, and there are so many possibilities with the peppers! It really is super easy…thank goodness for that! Thanks for sharing this with us at the To Grandma’s house we go link party! I’ll be featuring on my site tomorrow morning when the new party starts! Yay! Thank you so much for reading and for the feature! These would be incredible in a salad. Thanks so much for stopping by! Fired to perfection! Thanks for sharing at the What’s for Dinner party! I’ve never thought of putting them directly on the coals. Thanks for the tip! I never knew this method of roasting peppers! My brother made me some roasted peppers the other day and they were so delicious! 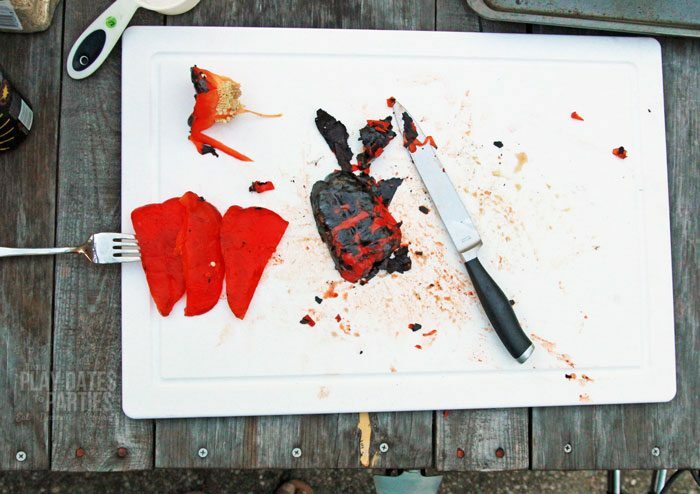 Thanks for sharing how to roast peppers! I had the most amazing roasted peppers on holiday in Spain once and I’ve loved them ever since. These look delicious, thanks. They look and sound delicious! Thanks for sharing the how to’s with SYC.